We would love to invite you to be part of our annual event this year! 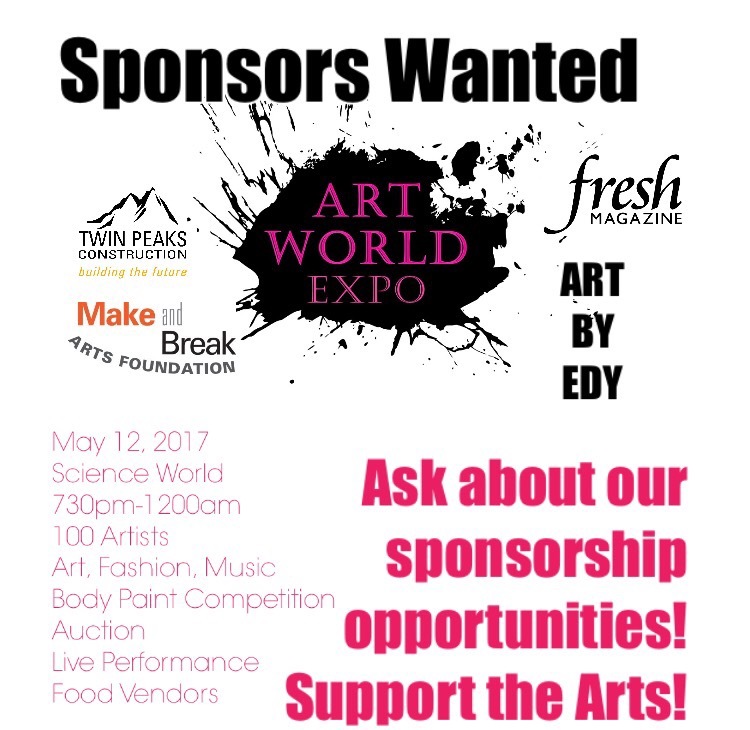 Join us by helping keep arts alive in our community and feature your business in an interesting way! We are looking for items for our silent and live auctions, advertisers in our swag bags, logo ads on our popular media wall, main stage sponsors and walking body art advertisers! We are also looking to fill our Gold, Silver, and Bronze Sponsor packages this year! Get your company seen at this annual gala and throughout the year with our comprehensive packages and support a show that helps feature and promote hundreds of artists annually in Vancouver and Toronto. Thank you to everyone who has supported this event each year by donating products and services as well as purchasing advertising and sponsorship packages! Call 6049996177 to learn more!